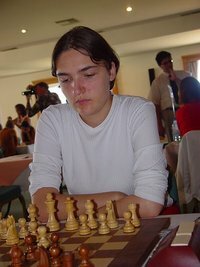 Nana Dzagnidze (born 1 January 1987) is a female chess player from Georgia. She is a Woman Grand Master. This article is based on the article Nana Dzagnidze from the free encyclopaedia Wikipedia and stands under the GNU-Licence for free documentation. In the Wikipedia a list of the authors is available.